All our professionals at Sunny Dental Center maintain the highest levels of accreditation and pursue ongoing education to stay abreast of the latest trends in dentistry. Dr. Sunny Okoroji, M.S. D.D.S., P.A. Dr. Sunny Okoroji is a graduate of the prestigious New York University College of Dentistry. After graduation, he did his hospital residency at the University of Maryland Medical Center and Johns Hopkins University Hospital in Baltimore, Maryland. Dr. Sunny, while in school, has numerous academic and leadership achievements. He has acquired many hours of continuing post graduate education to improve his skills in patient care. He plans to continue to do so, and to be at cutting edge of technology as far as dental information technology is concerned. 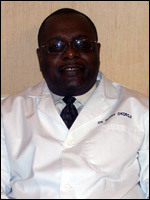 He is a very compassionate, dedicated dentist, who listens to his patients and tries to give them the best oral care. His office has the latest state-of-art dental equipments like laser whitening, adec operatory rooms, patient TV's in operatory rooms, digital x-rays with minimal radiation to patients, intra and extra oral cameras and very comfortable waiting room. 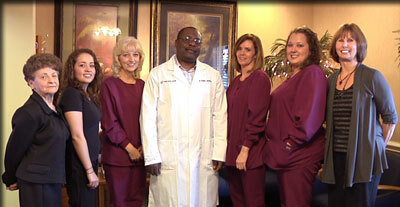 We have dedicated friendly staff that has a combined 50 years experience in the dental health care. You can be rest assured that you will be well taken of by their hospitality.